Guitar Machine Heads Set. Economically priced open cog heads. Efficient gears provide cheap solutions, not frustrations. 3 a side individual machine heads. Made in Holland. Guitar Machine Head Set. Economically priced enclosed geared machine head. 3 a side. Chrome. Made in Taiwan. Guitar machine head set-gold 3-a-side. Schaller "M6" Series. Large button. Large housing. One horizontal screw hole. Gear ratio 1:12. Top of the line machine heads manufactured to the highest quality standards. Made in Germany. M6A 3 a side. Chrome. Schaller "M6" Series with large ebony button. Large housing. One horizontal screw hole. Gear ratio 1:12. Top of the line machine heads manufactured to the highest quality standards. Made in Germany. M6A 3 a side. Chrome. Schaller "M6" Series. Large button. Large housing. No screw mount but positioned with a locating pin. Gear ratio 1:12. Top of the line machine heads manufactured to the highest quality standards. Made in Germany. M6 3 a side. Chrome. Schaller "M6" Series. Large button. Large housing. One horizontal screw hole. Gear ratio 1:12. Top of the line machine heads manufactured to the highest quality standards. Made in Germany. M6B 3 a side. Black. 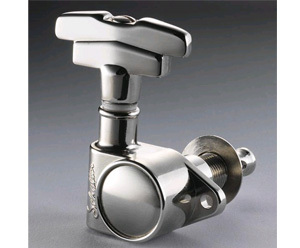 Schaller "M6" Series. Large button. Large housing. One horizontal screw hole. Gear ratio 1:12. Top of the line machine heads manufactured to the highest quality standards. Made in Germany. M6 3 a side. Matt Chrome. Schaller "M6" Series. Large button. Large housing. One horizontal screw hole. Gear ratio 1:12. Top of the line machine heads manufactured to the highest quality standards. Made in Germany. M6G 3 a side. Gold. Schaller "M6" Series. Large ebony button. Large gold housing. One horizontal screw hole. Gear ratio 1:12. Top of the line machine heads manufactured to the highest quality standards. Made in Germany. E-M6G 3 a side. Gold. Schaller "M6 Mini" Series. Mini button. Mini housing. One vertical screw hole. Gear ratio 1:14. Lighter and smaller machines. M6A Mini (3 a side) Chrome. Schaller "M6 Mini" Series with mini ebony buttons. Mini housing. One vertical screw hole. Gear ratio 1:14. Lighter and smaller machines. M6A Mini (3 a side) Chrome. Schaller "M6" Series. Large button. Large housing with locating pin - no screw. Gear ratio 1:12. Top of the line machine heads manufactured to the highest quality standards. Made in Germany. M6VC 3 a side. Vintage Copper housing and buttons. 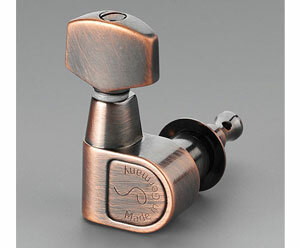 Schaller "M6 Mini" Series. Mini button. Mini housing. One vertical screw hole. Gear ratio 1:14. Lighter and smaller machines. M6B Mini (3 a side) Black. Schaller "M6 Mini" Series. Mini button. Mini housing. One vertical screw hole. Gear ratio 1:14. Lighter and smaller machines. M6G Mini (3 a side) Gold. The all new Schaller GrandTune® is the ultimate combination of tasteful design and velvet-smooth feel and touch. Set of 3-a-side single heads in nickel with butterbean nickel buttons and Gibson-style shaft for rear-mounting. The all new Schaller GrandTune® is the ultimate combination of tasteful design and velvet-smooth feel and touch. Set of 3-a-side single heads in nickel withSnakewood buttons and Gibson-style shaft for rear-mounting. The all new Schaller GrandTune® is the ultimate combination of tasteful design and velvet-smooth feel and touch. Set of 3-a-side single heads in chrome with butterbean chrome buttons and Gibson-style shaft for rear-mounting. The all new Schaller GrandTune® is the ultimate combination of tasteful design and velvet-smooth feel and touch. Set of 3-a-side single heads in chrome with ebony buttons and Gibson-style shaft for rear-mounting. The all new Schaller GrandTune® is the ultimate combination of tasteful design and velvet-smooth feel and touch. Set of 3-a-side single heads in black with butterbean buttons and Gibson-style shaft for rear-mounting. The all new Schaller GrandTune® is the ultimate combination of tasteful design and velvet-smooth feel and touch. Set of 3-a-side single heads in black with snakewood buttons and Gibson-style shaft for rear-mounting. The all new Schaller GrandTune® is the ultimate combination of tasteful design and velvet-smooth feel and touch. Set of 3-a-side single heads in Ruthenium with snakewood buttons and Gibson-style shaft for rear-mounting. The all new Schaller GrandTune® is the ultimate combination of tasteful design and velvet-smooth feel and touch. Set of 3-a-side single heads in gold with butterbean gold buttons and Gibson-style shaft for rear-mounting. The all new Schaller GrandTune® is the ultimate combination of tasteful design and velvet-smooth feel and touch. Set of 3-a-side single heads in gold with ebony buttons and Gibson-style shaft for rear-mounting. Schaller "M6 Vintage" Series. Large vintage button. Large vintage housing. One vertical screw hole. Gear ratio 1:16. M6 Vintage. 3 a side. Nickel. Schaller "M6 Vintage" Series. Large vintage button. Large vintage housing. One vertical screw hole. Gear ratio 1:16. M6 Vintage. 3 a side. Black. Schaller "M6 Vintage" Series. Large vintage button. Large vintage housing. One vertical screw hole. Gear ratio 1:16. M6 Vintage. 3 a side. Ruthenium finish. Schaller "M6 Vintage" Series. Large vintage button. Large vintage housing. One vertical screw hole. Gear ratio 1:16. M6 Vintage. 3 a side. Gold plated. Schaller "M6 Vintage Stepped" Series. Large stepped button. Large vintage housing. One vertical screw hole. Gear ratio 1:16. M6 Vintage/S. 3 a side. Nickel. The Classic Deluxe Series is a vintage inspired mechanical machine head. Base is nickel with Galalith buttons. Schaller “Da Vinci tuning machine heads feature a unique round design, pin mounting, a newly designed worm gear for precise tuning adjustments, and a scratch-proof clear polucarbonate window. Da Vinci” Series is a state-of-the-art tuning machine featuring flawless construction, ultra smooth action and unparalleled tuning stability. Ratio 1:14. The Classic Deluxe Series is a vintage inspired mechanical machine head. Base is plated gold with Galalith buttons. Schaller original G-Series Delixe with keystone tulip green pearlescent button and double ring (DR). Square Kluson housing. Two vertical screw holes. Gear ratio 1:16. ST6K 3 a side. Nickel. Schaller original G-Series Delixe with keystone tulip green pearlescent button and double ring (DR). Square Kluson housing. Two vertical screw holes. Gear ratio 1:16. ST6K 3 a side. Gold. Schaller ST6B 3-a-side in Nickel. Mini Kluson button. Square Kluson housing. Two vertical screw holes. Gear ratio 1:16. Thrust bearing. Schaller ST6B 3-a-side in Gold. Mini Kluson button. Square Kluson housing. Two vertical screw holes. Gear ratio 1:16. Thrust bearing. Chrome rear-locking machine heads. 3-a-side. Ideal in conjunction with tremolo systems.135 degree screw angle. Chrome rear-locking machine heads with two pin positions - no screw. 3-a-side. 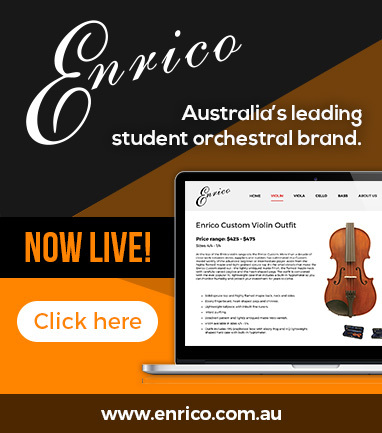 Ideal in conjunction with tremolo systems. 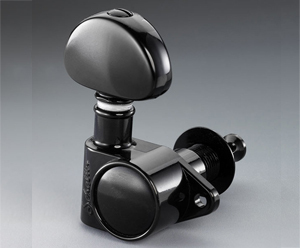 Chrome rear-locking machine heads with position "pin" and mini ebony button. No screw. 3-a-side. Ideal in conjunction with tremolo systems. Nickel rear-locking machine heads with position "pin" and mini ebony button. No screw. 2000 series - 3-a-side. 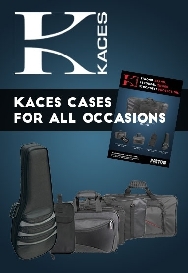 Ideal in conjunction with tremolo systems. MattChrome rear-locking machine heads. 3-a-side. Ideal in conjunction with tremolo systems.135 degree screw angle. Black rear-locking machine heads. 3-a-side. Ideal in conjunction with tremolo systems.135 degree screw angle. Gold rear-locking machine heads. 3-a-side. Ideal in conjunction with tremolo systems.135 degree screw angle. Gold rear-locking machine heads. 3-a-side in gold with ebony buttons and locating "pin" (no screw). Ideal in conjunction with tremolo systems.135 degree screw angle. Ruthenium rear-locking machine heads. 2000 series - 3-a-side. Ideal in conjunction with tremolo systems.135 degree screw angle.